When it comes to glossolalia and Tertullian, it is the making of a mountain out of a molehill. It is unfortunate that the second century church leader, Tertullian, was given a prominent seat on the subject, while authors such as, Cyril of Alexandria, Augustine, Gregory Nazianzus, the Ambrosiaster text, Epiphanius, Michael Psellos, and many more ecclesiastical writers who wrote specifically on the christian doctrine of tongues, have been largely ignored. A critical analysis of Tertullian’s supposed reference to the christian doctrine of tongues supports that he is over-hyped on the subject. There is one facet of this study that is indisputable — Tertullian believed the gift of tongues and interpretation, along with many other gifts, such as healing, were still operative during his time. However, he failed to specify if this was simply speaking a foreign language by those trained in such languages, a supernaturally inspired speaking in another language, or something else. He simply stated that it existed and added nothing more. The oft-cited Tertullian text on the doctrine of tongues is found in Against Marcion Book V. 8:7-12, and it is not a strong connection. But for the sake of readers wanting to find out for themselves, a translation, and explanation have been provided. The actual translation and Latin text can be found by reading Tertullian on Tongues: A New English Translation. All the comments below are based on this text and translation. Tertullian was a poster boy for the nineteenth century and later higher criticists who made the case that tongues was nothing more than religious frenzy, a glossolalic outburst that had antecedents in pagan Greek religions. The development of this modern doctrine is treated in greater detail in Introduction to the History of Glossolia. These are a series of articles which traces the inception of the doctrine of glossolalia in the 1800s, its overtaking the traditional Christian position, and its evolution. If one is to use a more comprehensive methodology and trace the christian doctrine of tongues using historical Christian literature from inception to the twelfth century, Tertullian’s contribution appears minimal. The initial approach to including Tertullian in the Gift of Tongues Project was to post both the Latin text alongside an already published English translation by Peter Holmes. His translation was published in 1885 as part of the well-known series, Ante-Nicene Fathers, which today is easily available on the internet.1 However, it was found wanting from technical and readability perspectives. Ernest Evans updated the translation in 1972, and great improvements were made, but the portion relating to the supposed tongues speech still remained obscure.2 The goal of my translation was to make this portion of Tertullian clearer for the modern reader. Tertullian on Tongues: A New English Translation is partially based on Holmes text, along with some help from Ernest Evan’s translation. There are a number of differences. First of all, Tertullian comes across in the Latin text as more combative against Marcion, even mocking. An attempt was made to make that more apparent. Secondly, the translation of the Latin keyword lingua was changed from tongue to language. This makes it closer to the intent of Tertullian. This is an editorial decision made early on in the Gift of Tongues Project and is consistent with almost all of the translations found on this site. For more information please read, The Difference Between Language and Tongues. Thirdly, the feature of Tertullian’s work is not about tongues but the role of women in the church and and how Tertullian felt that there was too much female authority in the Marcionite sect. He stated that women have the right to prophesy, but not to instruct; a practice which was happening in the Marcionite movement, and thus considered heretical. The address to languages in the church is happenstance. Tertullian was positing that women could not be moral, political, or theological leaders in the church at large. He had a compromise and that was the office of prophecy. This was considered a high status in the Church and women could have a significant impact through this agency. Tertullian appears to be a misogynist in modern terms, but his concept of women being able to prophesy may have been revolutionary for his day. More research on this aspect needs to be done. It still lacks clarity, so my translation went to a more literal state, “this apostle recommends silence of the women in the Church, nor that women should speak anything specifically for the reason that a male is going to learn.” In other words women are not to instruct in the church. Perhaps this means women are allowed to instruct other women, but never to preach, educate, or lead a male or mixed gender audience. The second phrase, “ut semel dixerim nosse non debuit nisi in destructionem,” is not as hard once the first difficulty above is understood. Holmes has, “let me say once for all, he ought to have made no other acquaintance with, than to destroy it.” This is a nebulous translation. Who or what is the person having an acquaintance with and what is to be destroyed? It is not clear. Evans somewhat clarifies it, “he had no right to take note of except for its destruction.” It is closer, but the antecedent is still wanting. My translation contains the following that hopefully clarifies Tertullian’s intent, “let me say once for all, that he ought not to know [what the woman is teaching] except for its repudiation.” The words in the square brackets do not exist in the Latin but put here so that the English reader understands Tertullian’s argument. Tertullian was mocking Marcion and previous English translations have downplayed this aspect. One of the important keywords that suggest the mocking is a proper understanding of amentia. Holmes has it as rapture, indicating the mind is in some joyful, exuberant state. Evans translated it as, “which means abeyance of mind,” suggesting that the mind in that moment is unoccupied and controlled by other influences. It seems unclear what he exactly means here. However, amentia has negative connotations. The text, id est amentia clearly comes across as condescending. The Lewis and Short Latin dictionary describes amentia as a negative mental state: “the being out of one’s senses, beside one’s self, madness, insanity.”3 and William Whitacker has it as, “madness; extreme folly, infatuation, stupidity; frenzy, violent excitement.”4 When I first read these dictionary entries, my mind immediately jumped to the Greek equivalents; the adjective used by Origen, μανικός, manikos, or the verbal form found in Michael Psellos’ work, μαίνομαι both which refer to people disposed to madness, frenzied, symptoms of madness, enthusiastic, or inspired. Both Origen and Psellos use the word distinct from the Christian experience and reserved it to exclusively describe the historical practices of the ancient Greek prophets and their peculiar acts of prophesying. Tertullian’s work is heavily structured on a Greek philosophical framework, and this was likely his intention too at the use of amentia. The second century writer, by use of this word, is making the case that Marcion’s practice does not have a Christian lineage, but the synthesis of ancient Greek religion, especially that of their prophets. It was folly, and one of the evidences among many that Marcion indeed was a heretic. It has little or no relation to the christian doctrine of tongues. The understanding of amentia is dependent on the use of the subjunctive in this passage. Holmes has elected to understand it as a jussive, which forces the translator to subsequently understand amentia as an inspired state. Whereas, since Tertullian is mocking Marcion, it should be understood as a potential subjunctive. Another set of critical words for those looking at the connection between Tertullian and the christian doctrine of tongues is si qua linguae interpretatio accessit. My translation reads, as if an interpretation of languages had occurred. Holmes translated it as, whenever an interpretation of tongues has occurred to him. Tertullian was not attacking Marcion directly in this passage, but specific mystical practices performed by the female gender within his movement which was outside church tradition. Holmes ascribes it to Marcion directly, which cannot be established from the Latin text. Holmes understood si qua to mean whenever which doesn’t fit here for a number of reasons. Si is about a condition that may or may not happen. The use of Whenever leads the reader to believe a durative process that happens throughout time, which doesn’t rightly fit into a conditional paradigm. The use of qua here reinforces the idea of a conditional concept. Brad Inwood, author of Seneca: Selected Philosophical Letters has offered a clue as to how to understand this word in his analysis of Seneca in the first century. He suggests that Seneca used qua adverbally, referring back to Greek philosophy, and should be understood as tamquam5 which, according to Whitacker’s Words means, “as, just as, just as if; as it were, so to speak; as much as; so as.” It has already been noted before that Tertullian heavily utilizes a Greek framework to structure his writing, and this would be consistent for his usage. The use of accessit in the text is another clue to this conditional clause. It is in the perfect indicative, which was a surprise, not in the subjunctive, which was to be expected. It is a simple conditional, which indicates a factual condition. Tertullian was drawing a caricature of the prophet(s) going into a state of madness, akin to those of the Greek prophets, and feigning the ability to understand different languages. Another clue on his definition, and it is not a complete one, is his mention of Isaiah 28:11, that the Creator would speak in languages foreign to the Jews of Israel, and that the gift of tongues was a prophetic fulfillment of this. This statement restricts Tertullian’s view on the gift of tongues to that of foreign languages. However, he doesn’t elaborate whether it is a natural, supernatural or mystical ability to speak in foreign languages, and so it doesn’t give a complete picture. Tertullian, wrote elsewhere about mystical events, especially in Treatise of the Soul, Book 9, where he described a woman endowed with mystical powers. He was not negative in any way towards this woman but simply was reporting these talents. He does not include in any description an ability to speak in tongues. Therefore, this passage has been left out of the Gift of Tongues Project. A challenge in translating this text is the lack of manuscripts. The digital copies found on the internet do not list what manuscripts they are composed of, and some of the Latin words used, such as duntaxat, seem to be later additions. However, the Tertullian manuscripts, as compared to Gregory Nazianzus and other leading church fathers, are hard to find, and those that do exist, are found in expensive books. These books are not readily available in my regional university libraries. There have been moments in critical spots where seeing actual manuscripts would have been helpful, but did not do because of these limitations. From my digital application Latin Words for OS X based on William Whitacker’s Latin Dictionary. 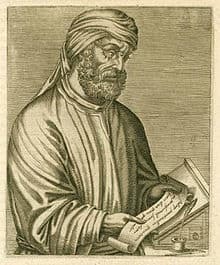 It is interesting that Tertullian, despite his many positive contributions, later became enamored of, and joined, the movement of Montanism, universally condemned by all sound Christian leaders of the time. Montanism was later ‘rehabilitated’ as the darling poster child of those enamored of the modern pentecostal, charismatic persuasion of ‘tongues’, one of the modernists movements few ventures into anything of antiquity, being enamored of their own ‘revelations’ and so having little need of any historic witness outside of themselves, other than for what confirms their inclinations. Again, Tertullian has value, but must be read with caution, in that where the path ends reveals the inclination of the heart. As a further note to your observations, Tertullian and the Montanists actually do not fit into the Catholic narrative of speaking in tongues in the first-millennium. It fits much better in the Protestant-German narrative begun around the early 1800s and then universalized in the 1870s. This is all documented in the “Doctrine of Glossolalia” series found at the Gift of Tongues Project.